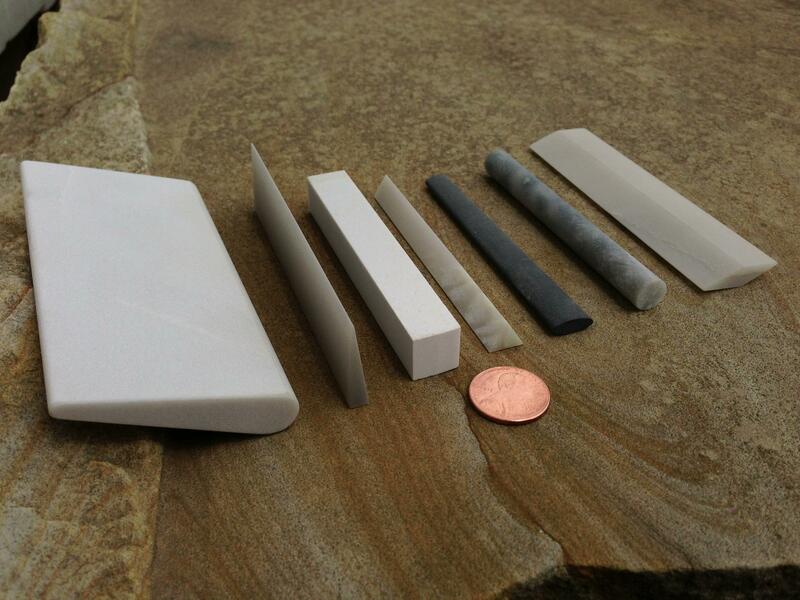 Dan’s Whetstone is the only complete producer and supplier of all natural Arkansas whetstone grades including the genuine black Arkansas novaculite. We are an American owned and operated whetstone company overseeing the process from quarry to finished product since 1976. Feel free to browse our website and if you have questions, contact us and we’ll be happy to give you all the information you need to make an educated purchase. 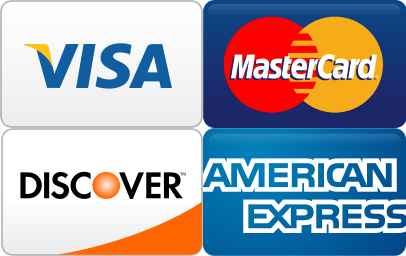 Our online store accepts all major credit cards and PayPal in a secure checkout process. We thank you for your visit and look forward to serving you! 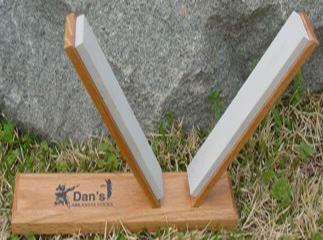 Dan’s Arkansas Sticks have utilized the design of the popular ceramic sticks while offering a natural Arkansas stone. 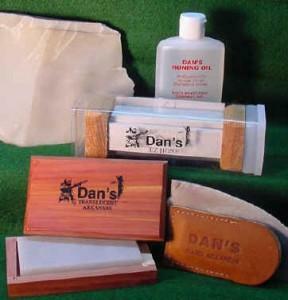 Dan’s Arkansas Stick has been designed for strength and stability to improve safety. At the same time, it offers the user a flat surface which is very important for maintaining a straight edge on your knife. 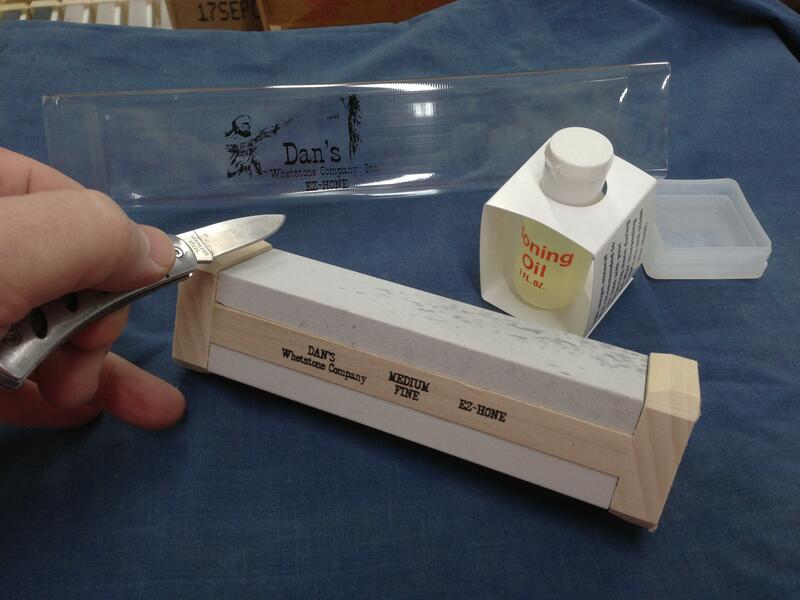 Dan’s Whetstone Company produces special shaped files that are designed to meet the customer’s specific sharpening needs. File shapes include triangle, square, round, flat, bevel, oval, diamond, base point, and knife blade. 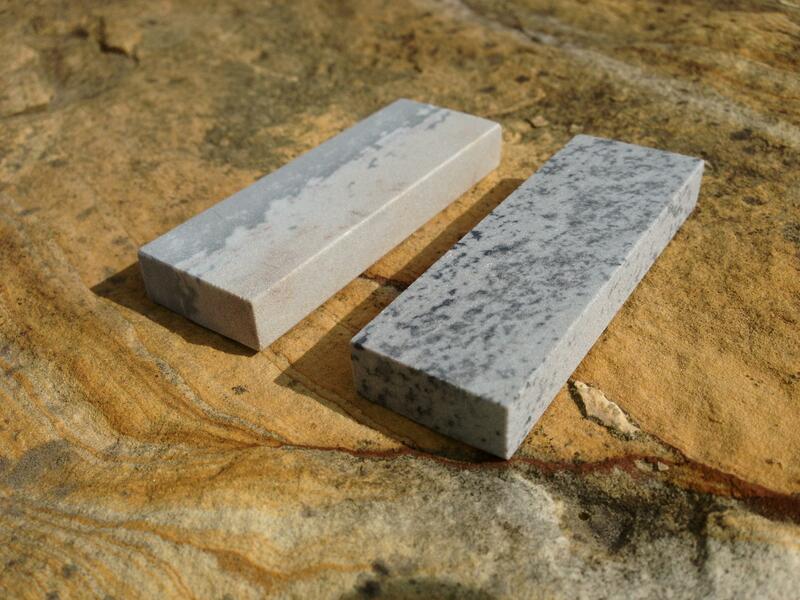 We also produce round edged slip stones and carving tools to complete our line and make sure that you can have a stone that will allow you to maintain keen edges on all of your tools. All special shaped files are available in Hard, True Hard, and Translucent classifications.